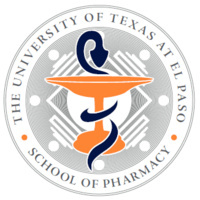 The University of Texas at El Paso School of Pharmacy is proud to recognize the class of 2022 during this White Coat Ceremony. This momentous and exciting event marks an important step in the transformation of students into future pharmacists. School administrators present the students with a white coat, which symbolized authority, professionalism, clinical care and service and a trust that must be earned. The ceremony will include a recitation of the Oath of a Pharmacist, where students will promise to voluntarily maintain the skills, knowledge and responsibilities needed to devote themselves to a lifetime of serving others.